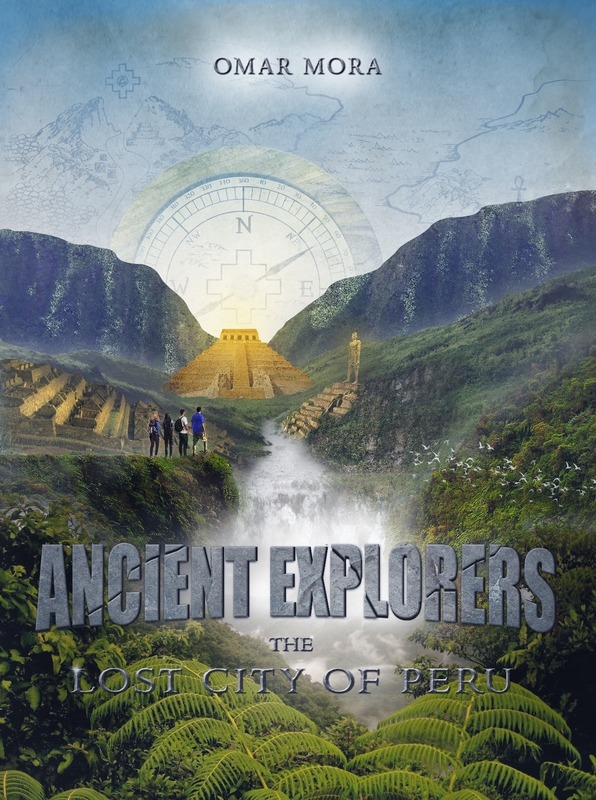 Los Angeles, CA – Actor, Writer and Producer Omar Mora just published his first literary novel “Ancient Explorers: The Lost City of Peru”; an adventure, action, thriller and sci-fi novel. “I have too many ideas and stories on my mind and there are constantly popping up. I wrote four feature films these last two years and it’s been difficult to raise money to make them happen. But I love the stories, so I took one of my favorite scripts and converted into a novel. I love storytelling and writing the novel is a way to have my story out for all to read and enjoy”, says actor and writer Omar Mora. The novel is about Mark and Luis that are best friends who grew up together listening to Mark’s grandfather tell stories about his adventures and big hidden treasures. As they grew up and became more responsible, they forgot about these stories, until they met Jennifer and Sandy, two archeologists that got interested in Mark’s compass because of the ancient symbols that the compass had. As they got involved and interested, Mark and Luis showed them a treasure map that Mark’s grandfather gave them when they were kids. As they are studying the map they discovered that it’s a map that leads to Paititi: The Lost City of Peru. The journey of discovering Paititi and their treasures is a journey into the unknown, a magical and adventurous journey that will change their lives forever. “It’s a fun and cool story. I love it. It has all the elements that I like. It has adventure, action, thriller, comedy and fantasy…and at the same time it’s heartwarming”, Mora said with a big smile in his face. “Ancient Explorers: The Lost City of Peru” is available now at Amazon.com and Kindle. The novel will be available soon in Spanish.